Martyn and I purchased our first home back in March and there is still a lot of work to do until it is just right. I would love a new kitchen, the roof needs some work and there are some cosmetic things that require a touch up too. Despite the long 'to do' list the house is starting to feel like home and we can't wait to enjoy the first Christmas together in our own home. Martyn and I are big kids so we started to get the house decked up for Christmas this week (before December *the horror*). 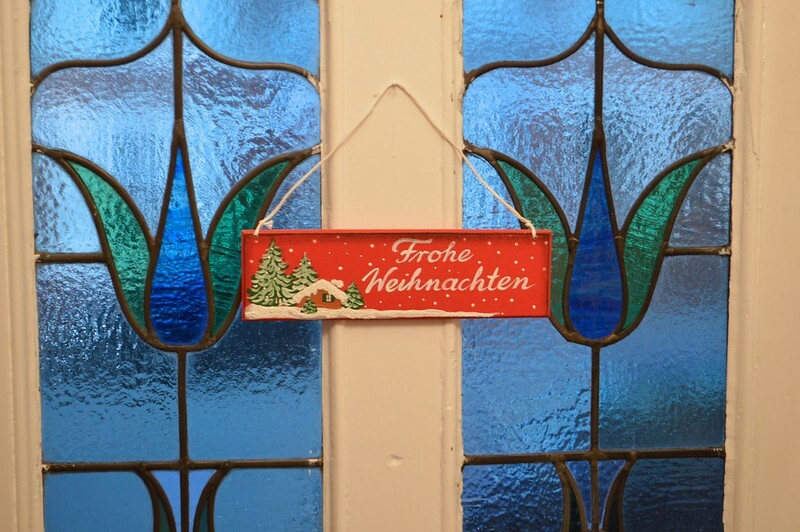 I think our preferred style of decorations could be described as Scandinavian/Alpine and draw influence from our Austrian and German holidays. 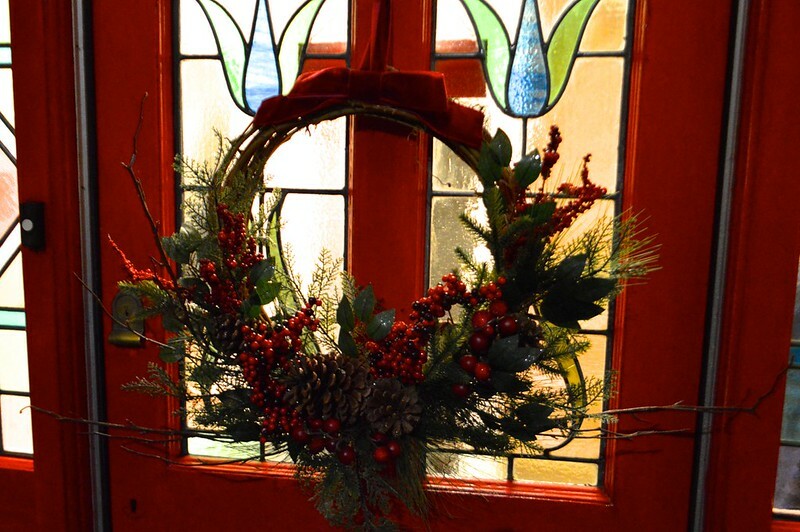 I like a traditional feel for the decorations as our home is Edwardian but there are a few modern and glittery bits added to the mix. A lot of our items have been picked up at Christmas markets and whilst on holiday but I'll try and link to items where possible if they are still available on the high street. Martyn treated me to the Gilmore Girls print as a Christmas present but caved in and let me have it early. I was guaranteed some new Gilmore Girls (4 new epodes, yay!) but there's no guarantee I will get some snow so this might be the closest I get. I've got all my fingers crossed for a white Christmas. "Everything's magical when it snows, everything looks pretty. The clothes are great. Coats, scarves, gloves, hats." You can pick up this print from WindowShopGal on etsy. 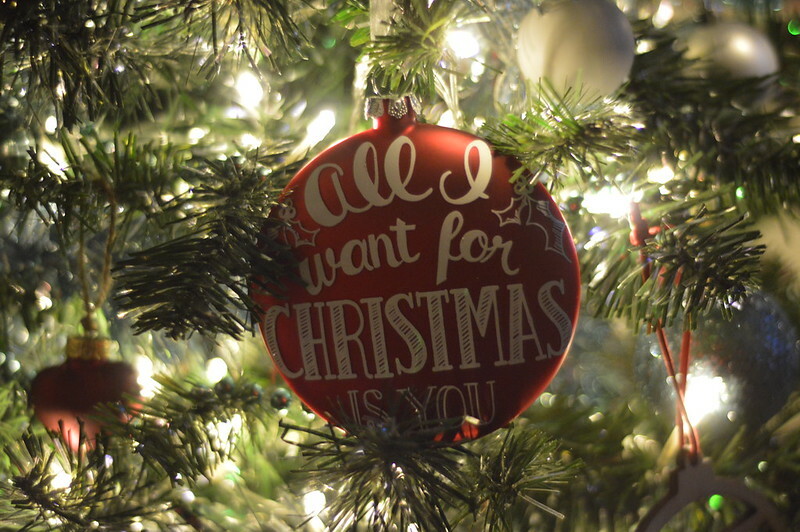 Many of my tree decorations are handmade or personalised but Wilko is a great place to get some filler baubles at a bargain price and I've picked up loads from there. I've added a few new decorations to my collection this year including the one above from John Lewis. I'm really loving their Chamonix range this year. 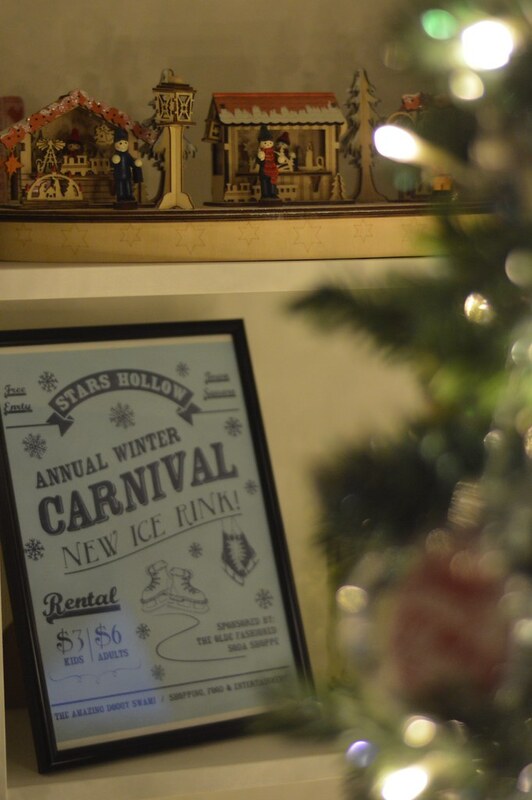 The print below came as a freebie with my bigger Gilmore Girls print and the cute wooden Christmas Market scene was a TK Maxx bargain last year. 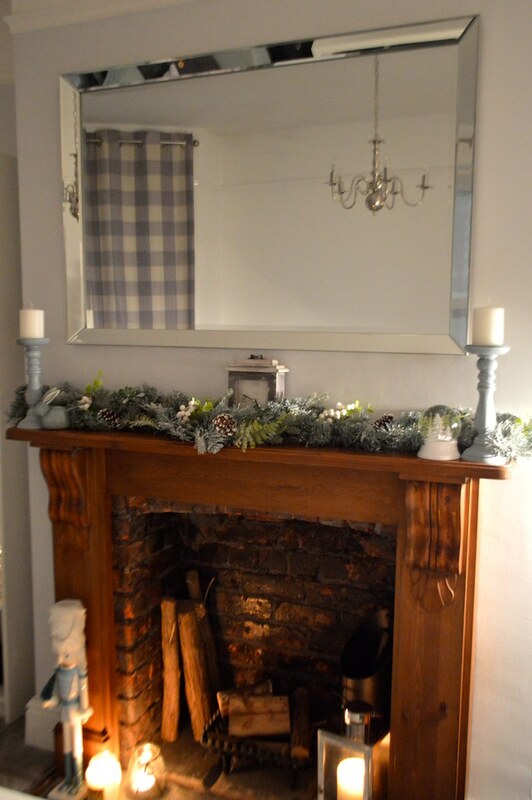 My last house had a modern fire with no mantelpiece which was impossible to decorate so I was really excited to get my new one looking festive with a garland. I'll definitely be hanging my stockings up on the fireplace this year. 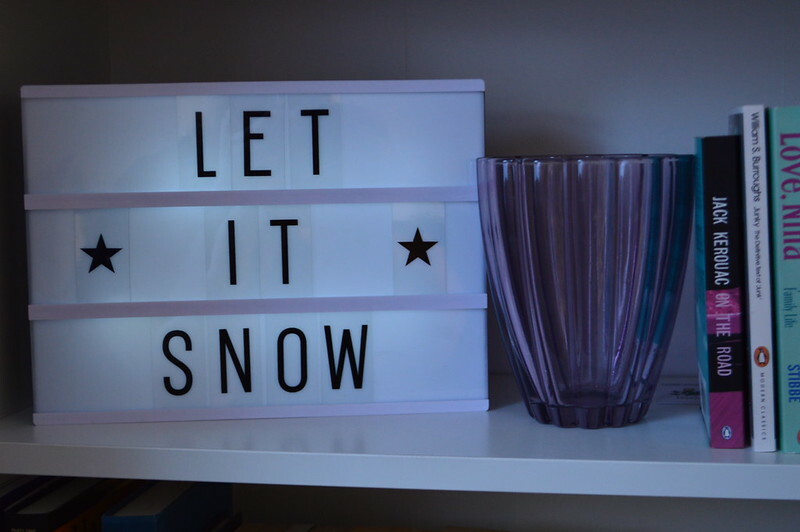 The garland was only £15 from Matalan (you can find it here) and the nutcracker was a steal too, the one I have is no longer available but they have some other colour options. 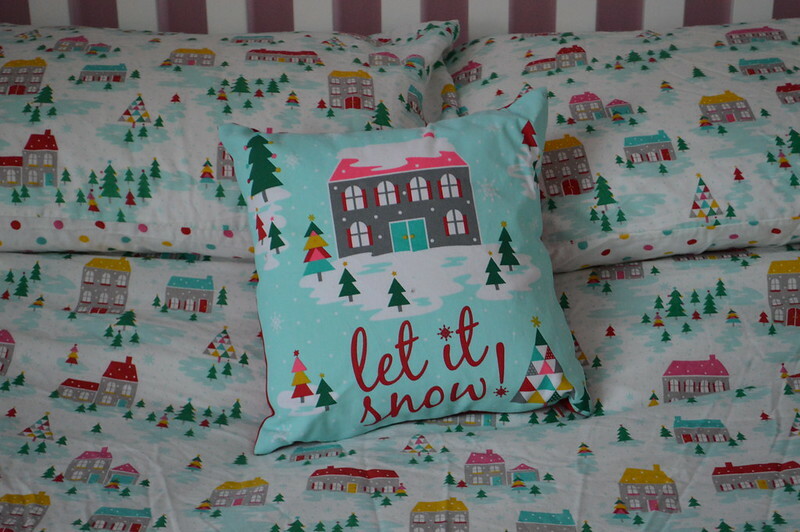 I want all the rooms to have a festive feel and bedding is a easy way to do this. 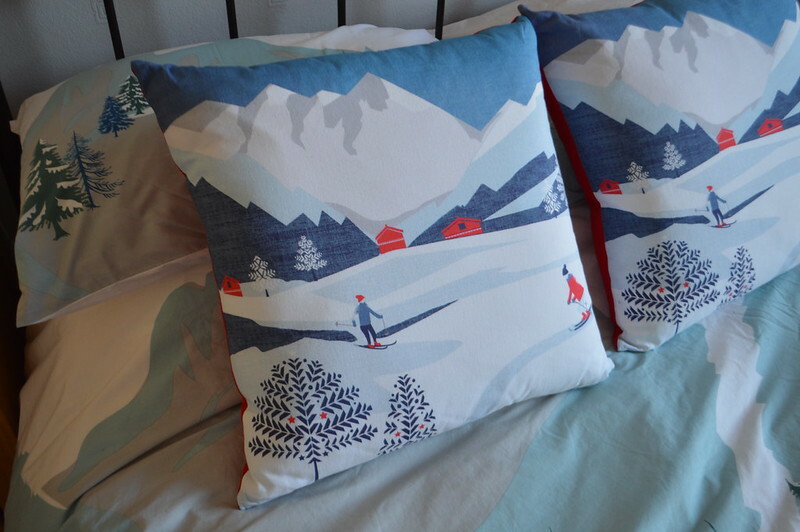 the above cushion and mountain scene bedding are once again from the John Lewis Chamonix range which Martyn and I really love. The set below was from George last year but they have a great selection of prints this year and a double duvet cover only sets you back about £12 which is a relatively cheap way to spruce up a room. I think this might only be the first phase of Christmas decorations. I fancy another tree for the living room, loads of white lights around the windows and a garland winding its way up the stair case. I basically want MORE of everything and to turn my house into a grotto but I'll try not to get too carried away. PS I know some of you may be judging me because my decorations are up so early but I think advent started on Sunday 27th so I figure I'm allowed. I love how many of your decorations are handmade and personalized I think that is really special! Loving the interior decor here. Your place looks great. Thanks Stella, I didn't feel like it was festive enough so I've got even more decorations up now haha. Gone a bit Christmas mad here. awww love the interior and the bed sheets are so cute! It looks beautiful. 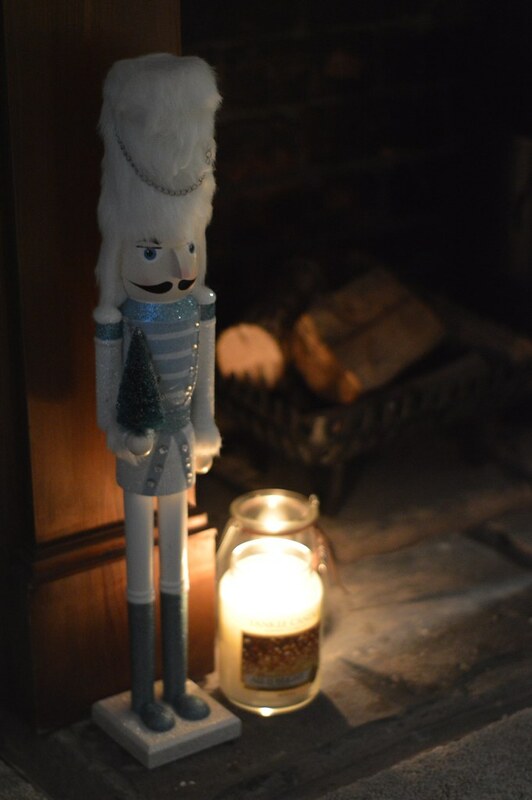 I love that print, the bauble and I think we have the same nutcracker. 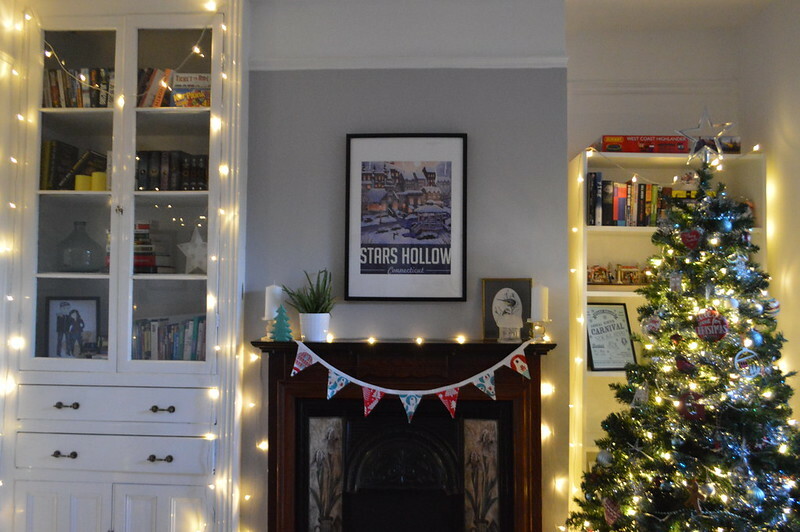 Oh my gosh, I need those Gilmore Girls posters in my life - especially the Christmassy one!